An Atlas of Impossible Longing started in one of those “dummy books” – blank pages, hardbound – that binderies used to make to establish accurately the spine width of books that they would bind for a publisher. The publishing house was one my partner and I had recently set up. It had no capital but our savings, no office, and the only books as yet were dummies with blank pages. After the book was done, I thought the easy, happy part was ahead: publication. I wanted it to be published not only in India but also in the UK: that was what you did in the days before e-books, if you wanted a book written in English to have the widest possible reach. The nasty surprise came when it was rejected over the next two years by sixteen British agents and publishers. 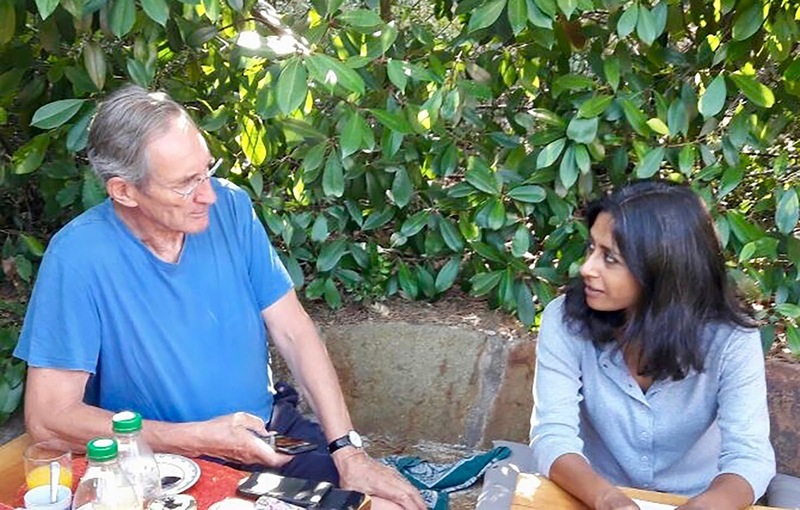 There must a point in the universe where parallel lines meet, because that is the only way I can explain how Christopher MacLehose came to publish Atlas. He too had recently left his old publishing house in unhappy circumstances and set up his own press. I listened to him at a seminar on publishing in London where, unlike almost every other publishing professional who focused on the “market” and “positioning”, he talked about books and authors. It made me think there was a chance – a tiny, slim chance – that he would agree to look at the thirty pages from my novel that I was carrying around in my bag (just in case). I told him every agent I had sent it to had turned it down. 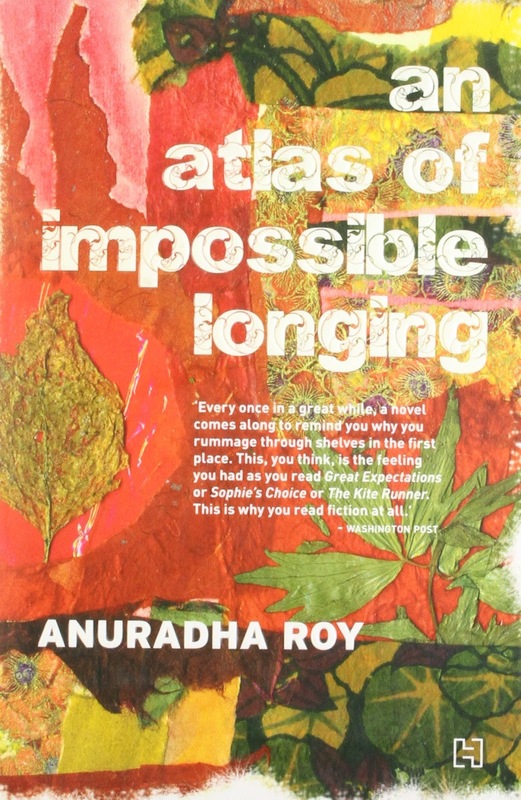 This very small publisher, then a mere embryo of a publishing imprint which has remained ever since devoted to publishing very good books in translation, will always be grateful and proud that Anuradha Roy’s An Atlas of Impossible Longing was our very first English-language book. That was in the summer of 2008. In January of that year we published our first three titles. One was a brilliant novel about a landscape gardener (who would fit seamlessly into Atlas...) by Andrea Canobbio, the eminent Italian publisher at Einaudi. One was the collected unpublished essays of Marguerite Duras. And the third was a novel by a Swedish journalist which had also been rejected by eighteen editors in Britain and in America. That was Stieg Larsson’s The Girl with the Dragon Tattoo. It is true, as Anuradha Roy says, that we met at a seminar. She doesn’t mention that she was there in the capacity of having been chosen the previous year by the British Council as one of a dozen outstanding young publishers from all over the world. * The seminar took place on a Saturday just before the London Book Fair and I was there as I was involved in the selection of the following year’s most outstanding candidate. It is also true that when she offered me her typescript, all 350 pages of it, with the instruction that I read it before the fair opened on the Tuesday, she did recite the names of all the editors and agents who had turned it down, and she kindly warned me that two more agents were to be reading it over the weekend. Churlishly I agreed to take only thirty pages. I did read them, of course, and when she told me on the Tuesday that the final two agents had also turned it down I remember thinking that they must all be half-witted, and perhaps I told her as much and anyway asked her for the whole typescript. Anyone who actually or, as they say in the trade, personally read those opening pages would have seen at once that this was the work of a writer. And not only an exceptional writer, also a storyteller. The fate of this boy is one of nine distinct narrative strands that make up a tapestry of stories which are so beautifully written and so very cleverly told that the reader will be blissfully immersed in a never-before-experienced world, enchanted as to every sense, compelled to care about what will become of every character. The story is set in Bengal between the 1920s and the 1950s. Turbulent times. The power of the book is miraculous in a first novel. Anuradha Roy has written three more novels – the most recent, All the Lives We Never Lived, will be published in June of this year. I would urge readers new to her work to begin with this, her first novel, and to read them all and thereby to be reminded, as the critic of the Washington Post said, “why you read fiction at all”. 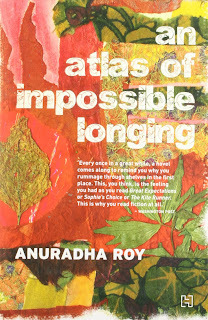 * Anuradha Roy was for some years an editor at the Oxford University Press in Delhi. When she and her husband, who was the editor-in-chief, left the firm, seventy authors followed them as they established their own publishing house, Permanent Black, one of the most distinguished academic presses in India.